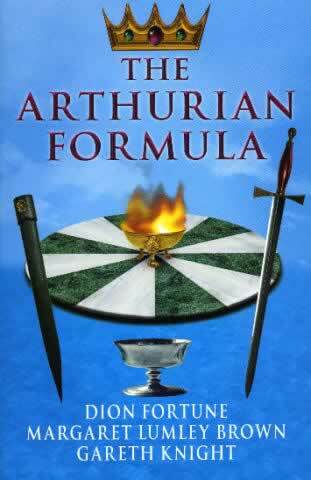 The Arthurian Formula, was the last major work of Dion Fortune and formed the corner stone of the inner work of her Society of the Inner Light for the following twenty years, supplemented by the remarkably gifted psychic Margaret Lumley Brown. It later formed the basis for work by Gareth Knight with the Company of Hawkwood and allied groups in later years, inspiring his book The Secret Tradition in Arthurian Legend. Dion Fortune's contribution explores the remote sources of the Arthurian legends and the mission of Merlin, played out in the polar relationships between Arthur, Guenevere and Lancelot in both human and faery dynamics and leading to aspects of the Grail. Margaret Lumley Brown develops the threads in the labyrinth formed by the archetypal patterns of the knights and ladies, including particular reference to Morgan le Fay. Gareth Knight's commentary pulls together these strands with an overview of the various traditions behind the Arthurian Formula of Glastonbury, Atlantis, the world of Faery, Merlin, the Troubadours, the cult of Queen Venus and their application in the practical mysteries of today.